A class action lawsuit from former chicken farmers alleges that a chicken farm magnate colluded to fix prices, effectively trapping farmers in a cycle of debt. The five farmers are each from different states, but experienced the same treatment. Five different chicken companies face a class action suit from five farmers in as many states claiming that the companies’ systems treated them like indentured servants. Tyson Foods, Pilgrim's Pride, Perdue Farms, Koch Foods and Sanderson Farms are all accused of fixing compensation for farmers, some of whom are tens of thousands of dollars in debt, according to the Associated Press. While the five farmers directly involved in the lawsuit have not been forthcoming with the details of their case, other farmers have spoken out against treatment by these large companies. The companies provide the chickens, feed and training to make the birds gain weight, while the farmers are responsible for providing the barns and labor. This is where the problem starts. In addition, chicken farming can be extremely strenuous work, sometimes requiring as much as 16-hour days, yet the five farmers in the lawsuit only reported annual incomes ranging from $12,000 to $40,000. "Meanwhile, integrators like Pilgrim's Pride and Tyson rake in more than $1 billion and $3.9 billion a year, respectively, in profits," the lawsuit claims. 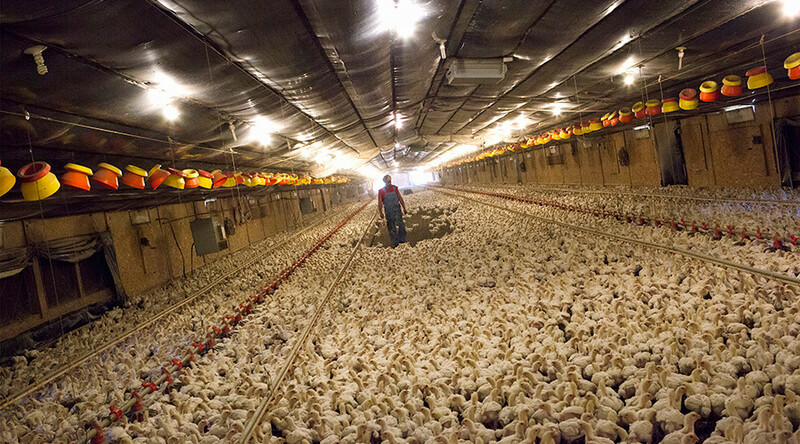 The National Chicken Council stood behind Tyson and the other companies. Group spokesman Tom Super told the AP: "The way that the system is set up, it's a performance-based and incentive system that rewards those farmers who invest who put in the most work and raise the healthiest birds," and wrote the class action case off as a group of disgruntled individuals who represented the minority of chicken farmers. However, this lawsuit isn’t the only thing on Tyson’s plate. The chicken processor was slapped with a subpoena from the Securities and Exchange Commission on January 20. Tyson confirmed that the subpoena was related to accusations of price fixing.